Recently I got in contact with Yuzo Koshiro, the man that composed the music for such classic games as The Revenge Of Shinobi, Actraiser, and the Streets Of Rage series. 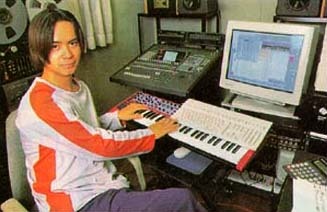 More recently he worked on music for the Dreamcast epic Shenmue. He graciously agreed to an interview, which I'm presenting here. Thanks, Yuzo! Rob: I'd like to thank you for agreeing to this interview, and for starters, I'd just like to ask a few basic questions. When did you first get interested in music? Did you have any kind of training or schooling in music at all? Also, are there any particular musicians or artists that have influenced your work over the years? Yuzo: Since my mother was a piano teacher, I learned to play from her when I was 3 years old. That's the time I started to become involved in music. Because of her, I've been influenced by many classical composers like Bach, Mozart, Beethoven, etc. Rob: What kind of setup do you normally use to create music? Yuzo: 3 diy-based pcs, Logic Audio. Rob: Something I've always wondered is where and when did you get your start composing music for games? I read somewhere that you had started with Nihon Falcom composing music for the Ys games in the late '80s. If this was the case, I was wondering - did you also work on the music for the PC Engine CD version of Ys Book I and II? Yuzo: First of all I learned basic composition from Joe Hisaishi for 3 years when I was 10 years old. Since then, it's all been self-taught. The music for the PC-88 (very old pc in Japan) version of Ys is actually the first composition I did and was proud about. But the all-arranged, PC Engine version was not mine. Rob: Also, what other games did you work on music for before you started freelancing? Yuzo: During the Falcom years, I created music for Xanadu 2, Romancia, Dragon Slayer Family, Sorcerian, and Ys II. After that, I started freelancing. Rob: Do you have any favorite pieces of music that you'd composed for different games? Also, do you have any favorite game music composers yourself? Yuzo: My own favorite compositions are SOR2 and Actraiser and I love many older works from composers of such companies as Namco, Konami, and Sega. I have also started to love Jeremy Soule's work recently. Rob: What game that you worked on are you most proud of? Also, what is your own personal favorite game? Rob: The first time I had heard music you'd composed for a game was when I first got The Revenge Of Shinobi (The Super Shinobi in Japan) in 1990. It completely blew me away when I first heard it - it sounded incredible! It still does, actually - I just played through the game recently, and I had to crank the music through my stereo because it still sounds so good. I was wondering - did you have any particular influences or anything particular in mind when you composed the music for it? Yuzo: For the song in the industrial-looking stage, Prince's "Batman" influenced me but everything else was self-inspired. Rob: Some of my personal favorite tracks from The Revenge Of Shinobi are "The Shinobi", "Over The Bay", "Terrible Beat" and "Labyrinth". Do you have any thoughts on those tracks themselves? Yuzo: "The Shinobi" - I based the rest of Shinobi's music on this song. "Over The Bay" - I wanted to create music that had the feeling of driving. "Terrible Beat" - I wanted to realize sort of the feeling of "mystical awe" which is felt during boss-enemy encounters. "Labyrinth" - My thought on this song was the same as "Terrible Beat". Rob: A lot of people that I know were disappointed (myself included) when both Shadow Dancer: The Secret Of Shinobi and Shinobi III: Return Of The Ninja Master came out for the Mega Drive and the music for both had been done by other people. We wanted more Yuzo Koshiro music for them, you know. Was there any particular reason that you didn't compose the music for those two games, or was it Sega's decision to have someone else do it? Yuzo: Sega used to have many divisions of console game developers awhile back. I guess a different division developed Shinobi III and Shadow Dancer, and already had their own composer. I think that might be a reason why I was only offered work from the team who did Super Shinobi. Rob: Did you have any particular influences when you wrote the music for the Streets Of Rage (Bare Knuckle in Japan) games? The music for the first and second SOR games always seemed to me to be particularly moody and in a lot of cases, sounded like something you'd hear in a dance club. Yuzo: I went to many clubs/discos and listened a lot of dance music then. That might be the reason why my music during that time was dance influenced. Soul2Soul, BlackBox, Maxi Priest, and Carron Wheeler were some of my favorites. Yuzo: That music was an acquired taste! :) Since it was not standard music, I knew many people were sure to hate it for the time being. But I'll bet everyone understands by now! Rob: I've heard a rumor that Ancient is working on a Bare Knuckle 4. Is there any truth to that at all? If there is, can you give us an idea of when we can expect to see it? Yuzo: That's just a rumor for now. Rob: Actraiser is another favorite of mine. The music for the game has always been so stirring and heroic, almost along the lines of the soundtrack to one of the Star Wars films, for instance. Were there any particular influences that you had while composing the music for either Actraiser or Actraiser 2? Yuzo: John Williams is all that! I've been greatly influenced by his orchestration techniques for more than a decade now. I hope that I can use a real orchestra with a music style like his, if I were to make music for another Actraiser in the future. Rob: A lot of people in the U.S. that I know have never even heard of one of the Sega Saturn games you'd worked on, Culdcept. Could you give us a brief rundown on it? 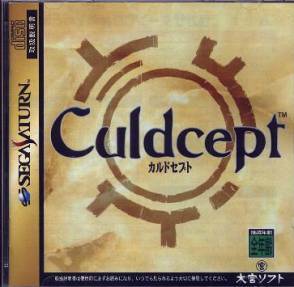 Yuzo: Culdcept is a multiplayer board game. The overview is similar to Monopoly, but its graphic-style is based on a fantasy. You move your characters on the board and use them to battle. The scene will change into a battle mode when your character moves to a piece of land (frame) occupied by someone else. In the battle mode, two cards, which have a style similar to Magic the Gathering, zap into the scene and start fighting. Once you win the battle, you can claim the land. Rob: I just recently picked up Shenmue, and I found out that you had done some of the music for it. Was this the most recent game you'd worked on, or are there any more that have come out since? Yuzo: Wangan Midnight (Namco) and Car Battler Joe (Victor) are the most recent games that I worked on. Rob: Finally, do you have anything you'd like to say to your fans around the world? Rob: Thanks again for answering these questions, and on behalf of all of your fans worldwide, I'd just like to say that we can't wait to see what you do next! The cover for "The Super Shinobi & Works"
Be sure to visit the website for Ancient Corp (Yuzo's game company).